Jim Lange as Captain 11, Steve Cannon as Wrangler Steve and Roger Awsumb as Casey Jones are shown together here. 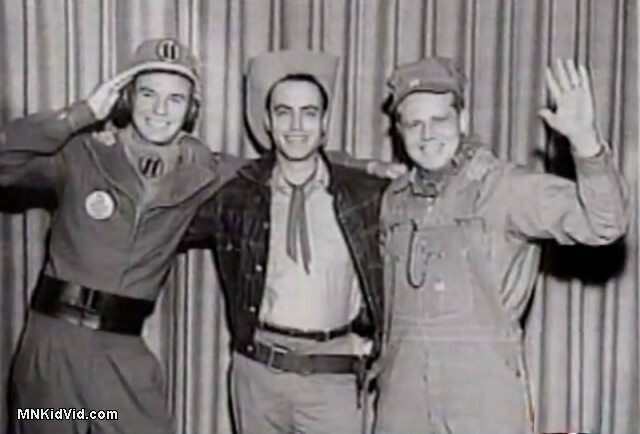 The three of them appeared together at Excelsior Amusement Park on August 7, 1954. 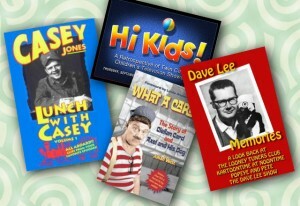 The heavily promoted event was called WMIN-TV Kids Day. 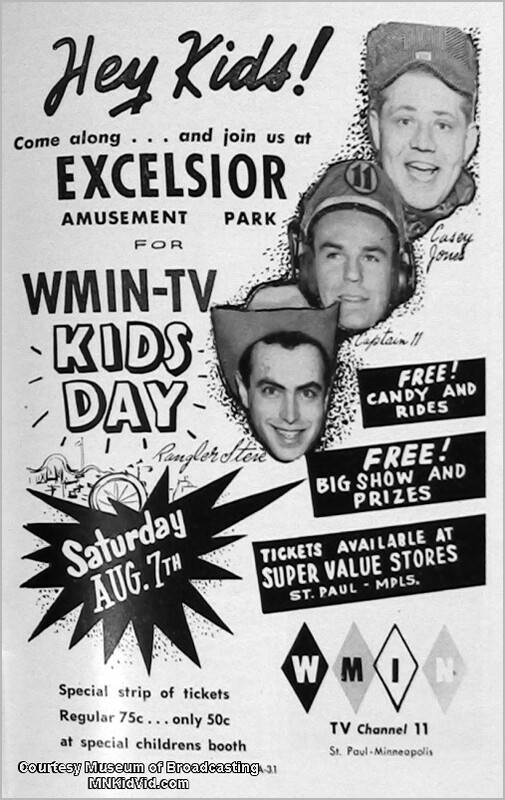 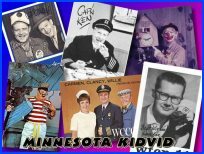 The ad below was featured in the Minnesota edition of TV Guide.